Quick! What's the closest star to Earth? Interestingly, many people initially don't know. When I reveal the Sun to be the answer, they refuse to believe it - with the common response being that the Sun is a "sun", not a star. It's a fair enough misconception; after all, we associate stars with glistening dots on a beautiful night sky, not a huge gleaming light giving you a gorgeous tan on a sunny beach. But yes, the Sun is of course a star, and there is no such thing as a "sun", at least in a scientific sense. However, the term is colloquially used to refer to similar stars within complex planetary systems; for example, Gliese 581. It's similar to the Moon in a way, which was named eons before Galileo discovered the first natural satellites orbiting Jupiter in 1610; the same time he discovered Saturn. As a result, humans believed the Moon was a unique celestial body that no planets had an equivalent of, hence why it has no fancy English name. The Sun and Moon do have Latin names that identify them a bit more poetically: Sol and Luna, respectively, and the Greek names of Helios and Selene, respectively. 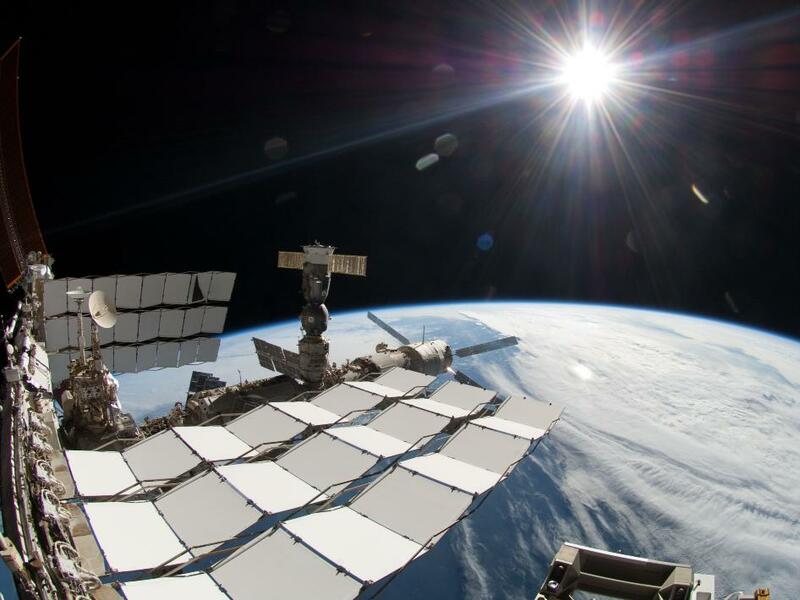 As most people know, the Sun is friggin huge. And by huge, I mean around 900,000 miles in diameter; by comparison, Earth is just shy of 8000 miles, and Jupiter, the largest planet in the Solar System, still pails in comparison at nearly 89,000 miles. You thought your flight to Australia was long? A Boeing 747 would have to fly for 61 days straight to cover the Sun's diameter. Despite it's impressive luminosity that renders it brighter than most of stars within the Milky Way, the Sun is still minuscule compared to many of the ones that reside light years away from us - from the bright blue Sirius to the distant red hypergiant VY Canis Majoris. As seen above, the Sun is like a spec of dust next to a space hopper when compared to UY Scuti. 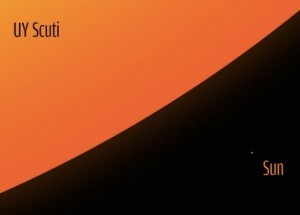 However, VY Canis Majoris is not the largest discovered star; that accolade goes to UY Scuti, discovered around 1860. UY Scuti is around 1.5 billion miles in diameter; a distance a Boeing 747 would take 279 years to cover, so make sure you pack plenty of supplies in your hand luggage. The speed of light itself would take two hours to cross this enormous beast of a star; and even when the Sun becomes a red giant some four billion years from now (destroying Earth in the process), it will still only be 186 million miles across - nowhere near as huge. UY Scuti, however, is not the brightest star in the night sky. This is a fact many people know - the accolade goes to Sirius A, our aforementioned blue beast (and corresponding white dwarf, Sirius B), which is around 1.2 million miles in diameter and has a nighttime visual magnitude that is surpassed only by several planets (including Venus, Mars, and Jupiter), as well as the full Moon. Humans have documented around 10 trillion galaxies in the entire universe. The Milky Way is home to around 100 billion stars, which means, assuming other galaxies were similar, the universe would house at least 100 octillion stars (100 with 29 zeros). The closest galaxy to us is Andromeda; and it would still take 2.5 million years to reach it when travelling at light speed. It's baffling to think about this, but when you truly assess how massive and neverending space is, 2.5 million light years is a pretty average distance. In terms of neighbouring stars, Proxima Centurai is the closest, residing just 4 light years from our own Sun. Despite being so close, it's small size (124,000 miles across) and weak magnitude make it invisible to the naked eye. It may be 93 million miles away, but the Sun is still so bright that it illuminates our planet into an array of colours and allows life to evolve and prosper - basically because stars are huge chemical reactors, and one of the ways they exude all the energy inside them is through tremendously strong heat and light. 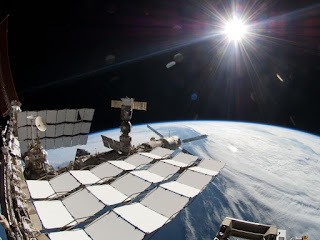 The Sun does give off harmful radiation; however, Earth is able to block this out with it's ozone layer; a crucial element to the planet to maintain life. Staring at the Sun for prolonged amounts of time can cause temporary and permanent damage to the retina due to absorption of harmful UV light; this can trigger awful headaches and blurred vision, reveal the Sun's round, bright shape whenever you blink, and completely alter your perception of colours. Leering at the Sun for as little as two minutes can damage your eyes for the rest of your life; however, as we all know, it is such a painful experience that nobody could possibly last that long anyway. The Sun can only really be observed without harm to the eyes during certain periods of sunrise and sunset, and during hazy or cloudy atmospheric conditions. But alas, that big ball of hot plasma and hydrogen and god knows what else is why you're alive today. Respect it. Love it. Bow before it.